Miniature size of Glendronach Peated 12 years, the Single Malt of the distillery of the same name. The 12 years old peated version of Glendronach comes in a 5cl miniature format to discover this original version of the distillery, union of the maturation in Sherry casks and the peat. This Peated Single Malt has been exceptionally distilled using malted and peaty barley. 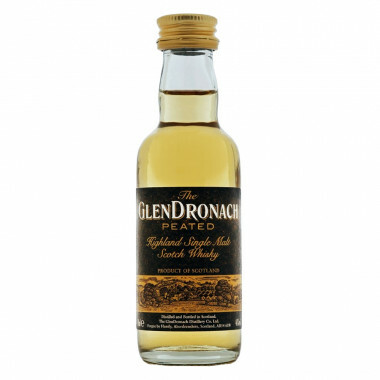 Glendronach Peated 12 years old aged in Bourbon casks with a finish in Oloroso sherry and Pedro Ximenés casks. It is a rich whisky that pays tribute to the traditional methods of drying barley with peat used in the first years of activity of the distillery. Glendronach means "valley of mulberries" in Gaelic. Located near the town of Huntly east of Speyside in Scotland. This distillery implements traditional methods of production (malting including drying partly with peat fire, as well as the heating of stills). This largely explains the powerful character and strong personality of his Single Malt. Always very rich, Glendronach whisky is fully revealed in Sherry cask versions. It shows a perfect balance between the notes of Sherry, malted barley and fruits (red fruits). Glendronach in East Speyside stands apart from other distilleries in the area. Its blackened stone buildings, pagodas and blood-red shutters immediately attract attention. The small stream that runs through the inner courtyard of the distillery reinforces its artisanal and traditional character. Destroyed by a fire in 1837, it was rebuilt in 1852 and bought in 1920 by Charles Grant, son of the founder of Glenfiddich. Sold in 1960 to William Teacher & Son, it doubled its production capacity in 1966, the number of stills from two to four. 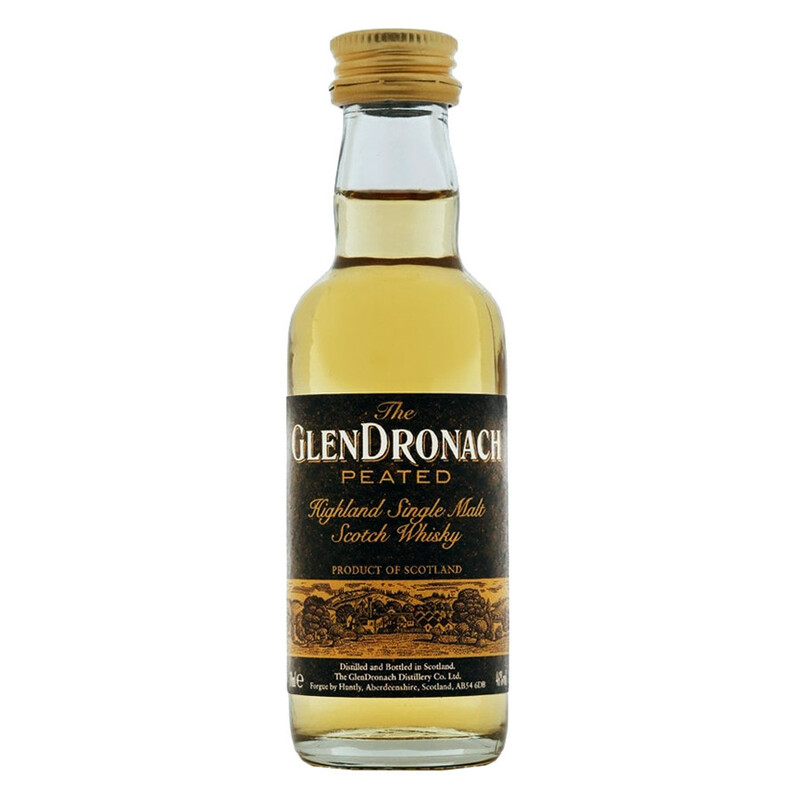 Until it was dormant in 1996, Glendronach was still malting some of its barley. Once again operational since May 14, 2002, its stills are still heated with coal. Currently, Brown Forman (Jack Daniels) is the owner of the distillery. Rachel Barrie is the Malt Master of the 3 Glendronach, Benriach and Glenglassaugh distilleries. Nose: red fruits, cinnamon and citruses. The delicate influence of peat gives a wooded character, caramel and vanilla notes. Palate: spicy, wooded and floral. Subtle peated notes complete the palate. Finish: a unique fruited mix with a sweet smoked peat.